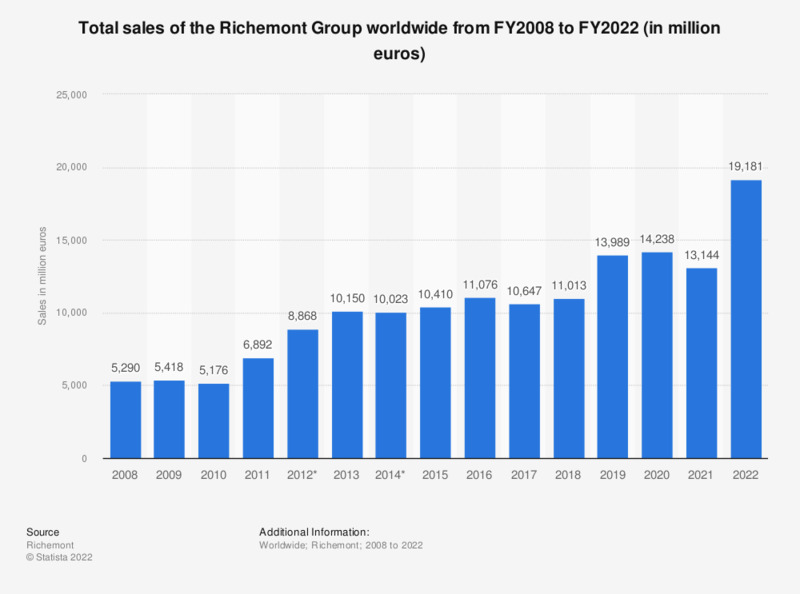 This timeline shows the total sales of the Richemont Group worldwide from FY2008 to FY2018. In FY2018, total sales of the Richemont Group worldwide amounted to about 10.98 billion euros. The Richemont Group is one of the leading companies operating in the luxury goods sector. *Fiscal year ended March 31, 2018.